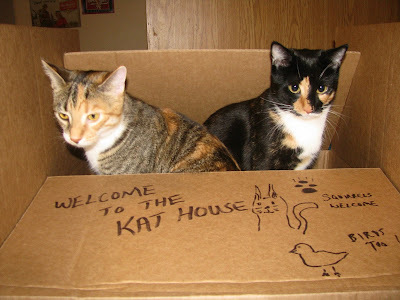 Inside of the birthday card the kitties received. Merry & Molly celebrated their 1st birthday on April 30th. The two teeny tiny kitties they once were have grown into two beautiful cats. 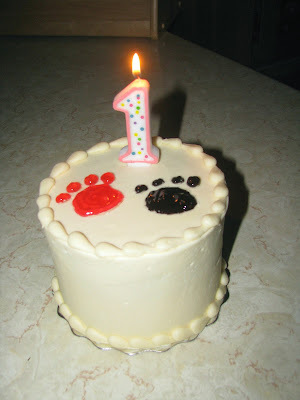 The day was pretty much like any other day in their lives, except we sang them "Happy Birthday" and had cake. Rob says we spoil them, I like to think of them as well taken care of. 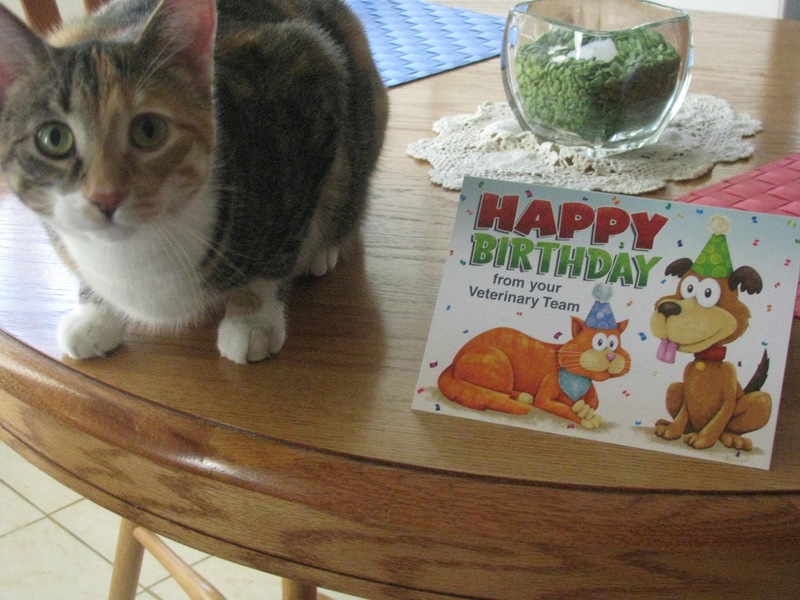 Molly checks out her birthday card. 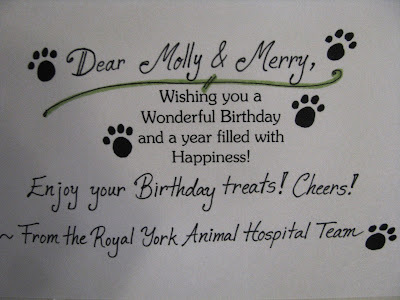 I have to mention what a nice surprise it was to receive not only a birthday card for them from our vet, but also two gift certificates for their favorite kitty treats. It's not a birthday party without a birthday cake! 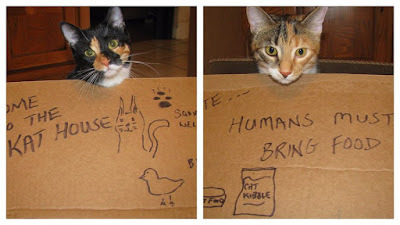 The birthday box was a big hit! Decorated by Rob. They enjoyed the box so much we forgot to give them their new cat toys. 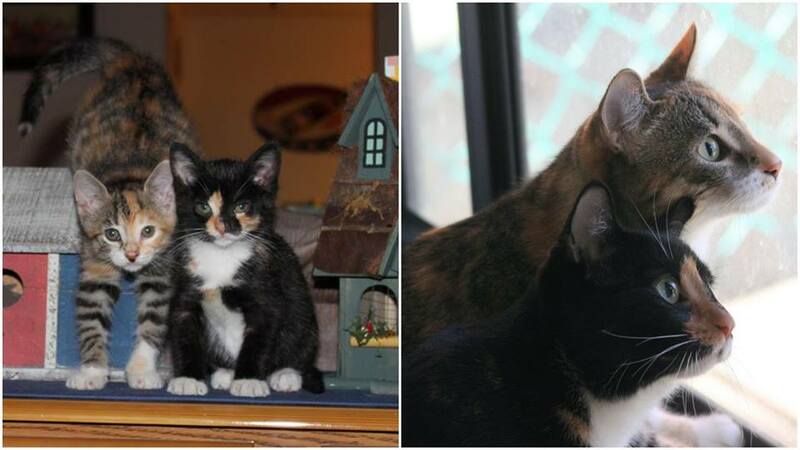 We look forward to celebrating many more birthdays with our two spoiled kitties!